Color Reference: #28V, #82V, #11V, #24V, #84V, #89V, #03V, #65V, #01V Ingredients: Talc, Mica, Silica, Dimethicone, Isononyl Isononanoate, Zea Mays (Corn) Starch, Zinc Stearate, Caprylyl Glycol, Octyldodecyl Stearoyl Stearate, Methicone, Synthetic Fluorphlogopite, Stearyl Stearate, Cera Alba [Beeswax], Calcium Sodium Borosilicate, Cobalt Titanium Oxide, Microcristallina Cera [Microcristallina Wax], Isopropyl Titanium Triisostearate, Behenic Acid, Bha, Tin Oxide. +/- May Contain: CI 77891 [Titanium Dioxide], CI 77491 [Iron Oxides], CI 77499 [Iron Oxides], CI 77000 [Aluminum Powder], CI 77492 [Iron Oxides], CI 75470 [Carmine], CI 77510 [Ferric Ferrocyanide], CI 77289 [Chromium Hydroxide Green], CI 42090 [Blue 1], CI 16035 [Red 40], CI 19140 [Yellow 5], CI 77266, CI 77820 [Silver]. Color Reference: #32P, #75P, #70P, #23P Ingredients: Talc, Mica, Octyldodecyl Stearoyl Stearate, Ceteryl Ethylhexanoate, Caprylyl Glycol, Dimethicone, Trimethylsiloxysilicate, Synthetic Fluorphlogopite, Acacia Decurrens/Jojoba/Sunflower Seed Cera/Polyglyceryl-3 Esters, Bha, Cobalt Titanium Oxide, Tin Oxide. Never settle for the same old eye look again! 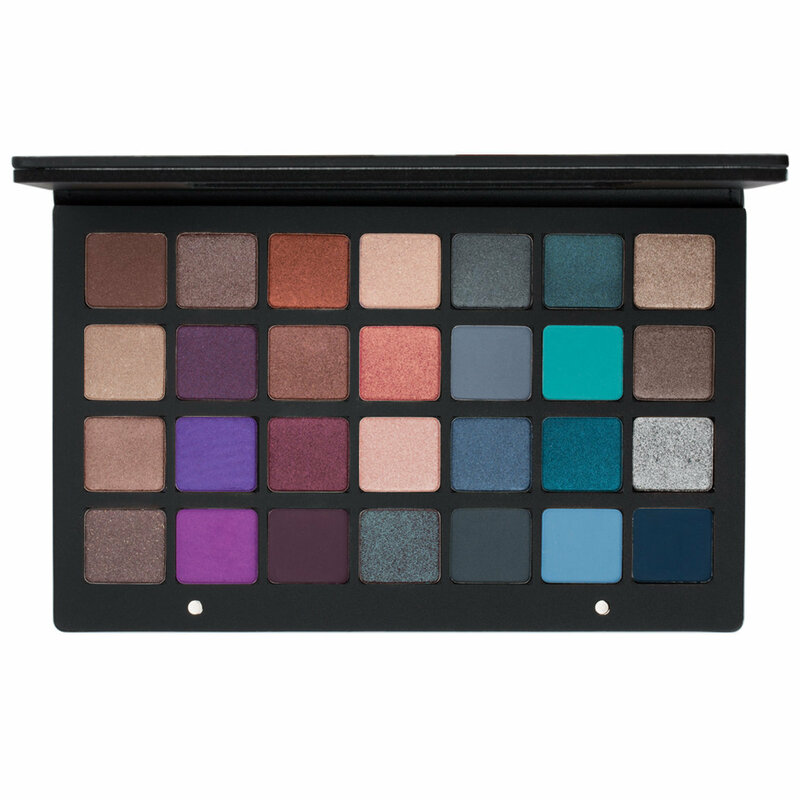 This pro-quality palette features 28 pans of ultra-pigmented eye color in a variety of unique finishes. The innovative powder formula glides smoothly across lids, delivering vivid color payoff with a silky-soft feel. Dip an eyeshadow brush or your finger into your favorite shade and sweep across lids. As both a professional makeup artist and a total makeup junkie I feel like I have used nearly everything on the market at one point or another. And I have a substantial list of products that I love and have used for years as my tried and true never fail me products. However I can't think of a single eye shadow that out ranks this palette for me now. I got the #2 palette in my lucky bag and it was instant love at first application. I used it everyday for weeks till I was able to buy the Green Brown 28 at IMATS. Needless to say I've not used any other shadows since. They are creamy, the pigmentation is insane and the finishes are gorgeous. I love the mattes, because they are great transition shades and basically all I would need. The Metallics and Sparkling finishes are my favorites though. They retain their high power color and finish from dawn to dusk. Using MAC paint pot in painterly as a base I have gotten 12 hour wear time with them looking as good when I take them off as when I put them on. I have a very hooded eye and don't experience any creasing with them, including using metallic and sparkling finishes in the crease. It's been years since I've been able to use shimmer shadows in my crease since they break down, fall out and crease. I can't believe these perform the way they do. In terms of fall out I've not experienced that to any degree worth noting. In fact I've not had to do any clean up after application. 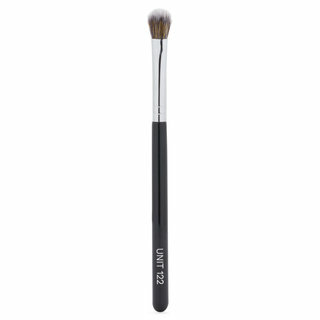 I use natural hair brushes from Wayne Goss and Smith Cosmetics and because of the intense pigmentation I use a light touch when picking up product. A light touch will also allow you to apply directly to the eye without tapping off your brush first. I feel like there is a learning curve if you are not used to the pressed pigment type product, but that is easily over come with a little practice. Because they are so creamy they are easily blended out. So for more dramatic looks you will want to use a flat shader brush to place product on the lid. They also respond well when I use my finger to place the metallics/sparkles on the lid for a pop of shimmer. This palette isn't for everyone. It's an investment up front but something worth saving for and 100% worth splurging on if you are able. To me these eye shadows are the perfect formula on all accounts. In regards to Talc being listed as the first ingredient: Since they are made in Italy if cosmetic products contain talc it's required by law that regardless of the amount of Talc that it must be listed as the first ingredient. Check products like Tom Ford and Visert and you will ind Talc listed first there as well. The amount of Talc in products like this is not enough for concern unless you know for certain you are allergic to it. Okay, so..when I first heard all the hype about this palette I was like "H***NO! Almost $250 makeup pallete?!?! I will NEVER buy that!". Then, the hype continued so I had to find a way to justify spending that much on a palette. So, I did the math. These eyeshadows are about $8.50 a piece weighing 0.08 oz each. Any quality individual eyeshadows range from $8-$30 ish a piece and usually weigh less! Take MAC, for example. Almost $16 and only 0.05 oz a piece. (ND are more than 1.5 times larger than MAC! More pigmented! More blendable! More amazing!). Or Make Up For Ever shadows (which have been my past favorite) at $21 each and only 0.07oz each. 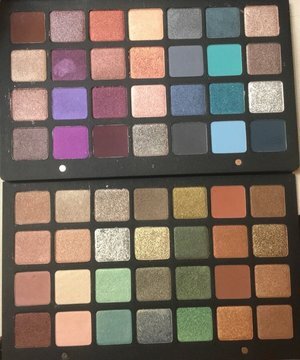 Either way, Natasha Denona shadows are excellent quality and practically a steal at $8.50 each in the 28 pan palettes. So, yes. There you have it. That was all the justification I needed to go ahead and purchase BOTH palettes. I realize this possibly makes me certifiably insane, but whatever. I will be crazy with my incredibly sprarkly, magical eyeshadows. And I'm okay with that. I am writing a 2nd review because I spoke too soon with the first, and I don't want people to feel like they are the only ones sending this back the way I had felt by reading all the reviews. First let me just tell you that I am an eyeshadow addict. 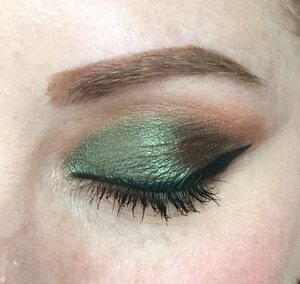 I smoke out my eyes every single day, and so when I had first saw how beautiful the Natasha palette had appeared, I did my research and decided to give it a try. When I first had reviewed this product, I had only tried it about three different times, and each time I felt a bit underwhelmed. I had remained very open minded, even though I didn't feel as excited with the finished product as I thought I would feel. I wanted to love this palette, and believe all the positive reviews so I experimented 3-4 times. I disappointingly still felt the same. 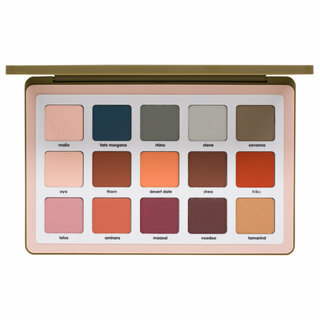 This palette although extremely aesthetically pleasing at first glance gives no further color pay off than any of my other less expensive Urban Decay palettes. 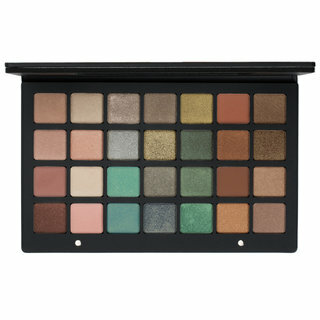 In fact, I had found that I actually prefer the UD Vice palettes as far as pigmentation, colors, and blendability . 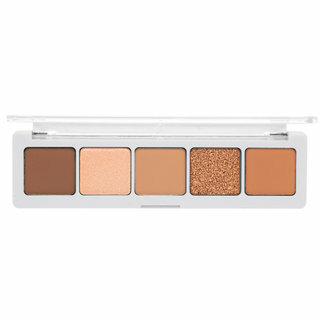 For the price, this palette lacks some staple colors such as black, a matte brown, and cream. 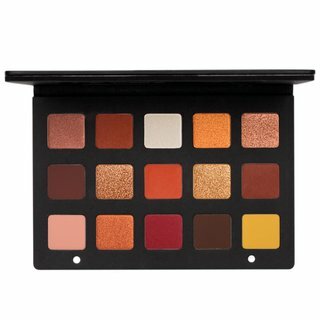 I bought all those colors separately, and will be keeping the brown and black since they are both very nice, and I actually like them more than any that this palette included unfortunately. There were some colors that were nicely pigmented, and it is blendable overall. I am just not as impressed as I should be for a $239 dollar investment. 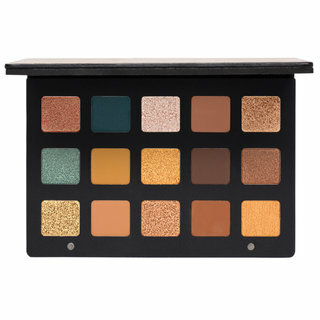 At most, this palette should be $100, and even then I think I may still feel regretful. It got sent back. First, I want to start by saying that I really do appreciate that the palette has a mix of finishes - including more matte shades for the crease/transition area. 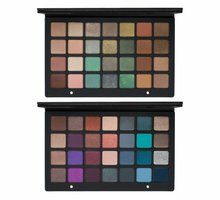 With 28 shadows, it seems like it wouldn't be a great fest to have included these as options - yet I have found palettes where a few basic mattes are lacking. Second, these shadows are so luxurious feeling! I found the metallics and shimmers to be comparable to Tom Ford shadows that I've used - creamy, pigmented, easily blendable, and with staying power. I will say that these Denona shadows wore off sooner than I expected (more just that they became kind of muddy looking) after about 6-7 hours of wear. Not bad, but I've had less expensive shadows last longer given the same base/primer. 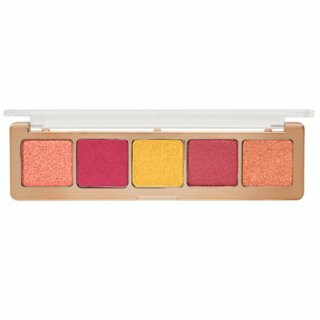 I know fallout has been discussed in various social media reviews of this palette. 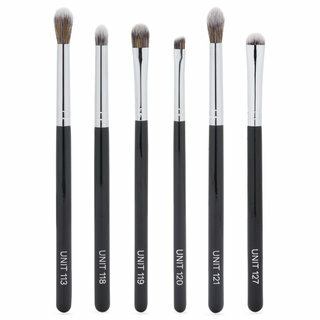 I by no means grind my brushes into my shadow (and I do use fairly high end brushes). I tapped off quite a bit of product from my brush before even bringing it to my eye, and had a small to less than moderate amount of fallout still. I don't believe that makes it a bad product or somehow means I shouldn't have invested as much in this palette. So I cleaned it up and moved on. I'm definitely not a professional MUA, but I was frustrated by the implication that I must be a total makeup imbecile to have experienced any fall out. Overall, I LOVE this palette. It's something special that I treated myself to and am thoroughly enjoying. I found out about Natasha Denona and her products a little over a year ago when I stumbled across one of her YouTube videos. My jaw was literally on the floor when I saw how beautiful and flawless her model's complexion was after she had used "face glow". I had no idea what it was but after Googling Natasha Denona on and face glow I was directed to her website! I spent hours trying to find out more about her products... unfortunately I did not come across much at the time. 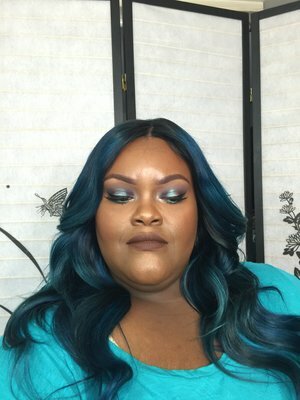 Eventually a few YouTubers had started uploading videos using her products. 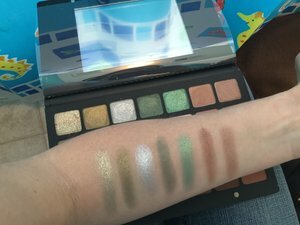 Swatches started popping up and I knew I had to have her 28 green/brown palette. I debated and fought myself on whether or not I wanted to commit to the price tag along with international shipping for months! In the meantime I had developed such an awesome relationship with the team here at Beautylish that as soon as I saw the partnership with Natasha Denona and Beautylish I immediately stopped debating and mentally committed to the price tag :) haha! Now... I will be honest I am fairly low maintenance with my daily routine and almost always skip shadow and just apply a bit of eyeliner so the justification of a 28 pan shadow palette with this price tag probably wasn't there... BUT I have had sometime to play with this palette and my inspiration level is through the roof. I have had my paws on almost every big "reveloutionary" make launch since, well, probably the better part of the past 10 years and this for me BY FAR is the most worth it. In fact, I will be picking up the purple/blue palette when in launches next month NO QUESTIONS ASKED. 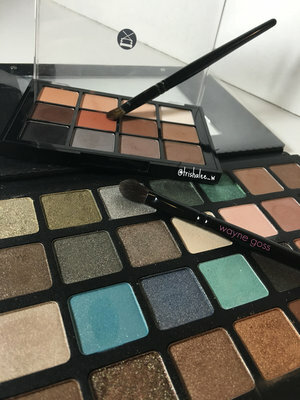 The quality is unlike anything I have ever used or owned, and I'm sure your thinking "hey girl that doesn't wear shadow daily, what would you know" but I can assure you the reason why I do not work daily with one of my MANY palettes that I own is b/c nothing has blown me away, and I've put them in a pile on my dresser for the occasional outing I feel inspired enough to create. These shadows have me giddy like a school girl! Right out of the gate I can tell you INDIVIDUALLY "cream" would be a great addition to any palette you may have at home or any ND palette you're thinking about picking up. I am confident it would make a great highlight on a more fairer complexion too. If you're looking for a single shadow that is unique, well... there are a ton but for a blue hue I would say "cloudy blue" would be a great one, green hue would definitely have to be "antique olive", and "skin" has my vote for neutral. If you're looking at this palette you are probably well aware that the metallics are MIND BLOWING it's mostly what every review and YouTube video raves about but I can assure you the satin and matte colors are just as well excuted! :) I am a matte girl and in my honest opinion the blendability and color payoff surpass my Viseart matte palette w/OUT a primer. 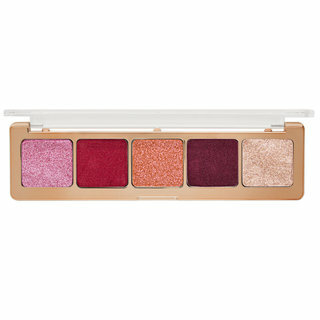 So here's the bottom line, if you are debating but you know you can put this palette to use STOP! Pick it up as soon as you can get your hands on it, it's a completely different experience! If you are on the fence and aren't trigger happy like me :) try one of her metallic shadows or a smaller 5 pan palette and let that push you over the line, I know it will! 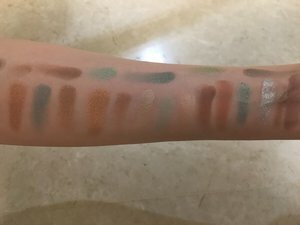 I have attached some pics I took quickly before I left w/my iPhone so forgive me on the quality, but each swatched arm is just below the row of colors! Happy shopping!!! I really REALLY wanted to love these eye shadow palettes. Yes, I bought both of them because of all of the glowing reviews. For me, these shadows are amazing but only for a couple of hours. I can barely get through half of a day of work without considerable creasing. This is very odd for me because I never experience creasing with any eye shadow. So, I thought that I was doing something wrong because these are supposed to be long-wearing and most review echo that. I figured that because they were so pigmented and creamy, maybe I was using too much product. I used as little product as possible- barely even one swipe- and I still had creasing by lunch time. I then tried every primer/base I owned and still have creasing by mid-day. I think I'll stick with my Make Up For Ever artist shadows. They have a similar feel and never crease. I am literally blown away with these. They exceeded my expectations. You barely have to put any pressure on these to get the most amount of pigment I've ever seen. Ordered this due to much hype from the beauty bloggers on FB. It didn't disappoint! 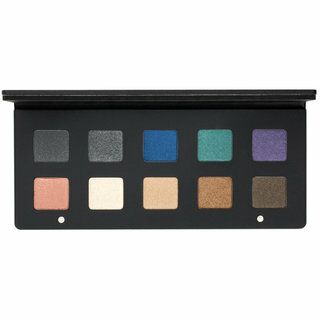 If you are looking for a palatte which is super pigmented, buttery, great blend-ability then this is the platte for you! The shades are beautiful, and packaging is nice and sturdy. There are 2 magnets so there is no risk of the palatte accidently opening by itself. The only down side is that the mirror is a bit small for the lid. Not sure why they created a much small mirror. Otherwise the eyeshadows are all very unique, even the ones that I thought would a bit 'meh' on reviews, they're actually much nicer in real life with glitter that adds a different tone. As always, beautylish packed this product pefectly. It was triple wrapped in bubble wrap with another large bubble wrap in the box to protect it. I love ordering from beautylish. Find that their packaging and delivery is much better than compared to all the other online websites. 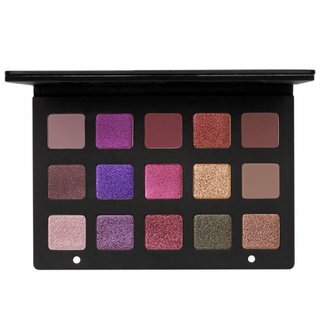 If you feel the urge to splurge on a quality eyeshadow palette that will most likely last for a long time then this is it. Super fast shipping overnight!!! 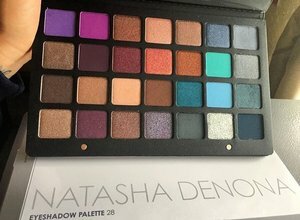 For free and love my natasha denona palette cant wait for the other one!